Here at Tubeline, we believe that you should be able to manage your hay quickly and easily. Whether you need to condition your hay or silage before baling, or transporting your bales, Tubeline has the right product for you. Transporters range from small bales such as the Accumul8 and its grabber, to large bales using our Technobale bale wagon. Today’s dairy and cattle operations require nutrient rich feed to increase milk production, assist in reproduction, and increase weight gain. Tubeline BaleWrapper’s provide a fast and efficient way to get hay off the field and put up high quality silage. Allowing you to deliver the nutrient rich, palatable, easily digestible hay that your dairy or cattle herds crave. Tubeline Bale Boss Processors provide consistent shredding of your large square bales. 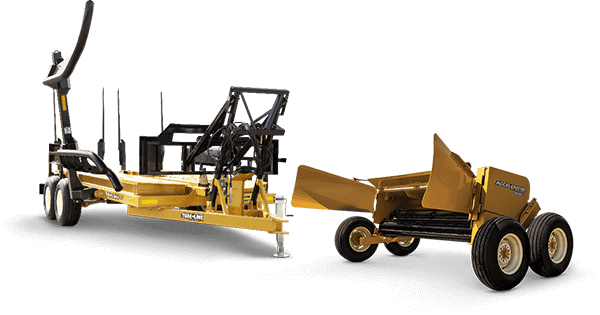 With options for loader mount and trailed units, the Bale Boss line of processors has the right model for your application. Tubeline also offers BaleFeeders that neatly unravel your bales for easy feeding applications. 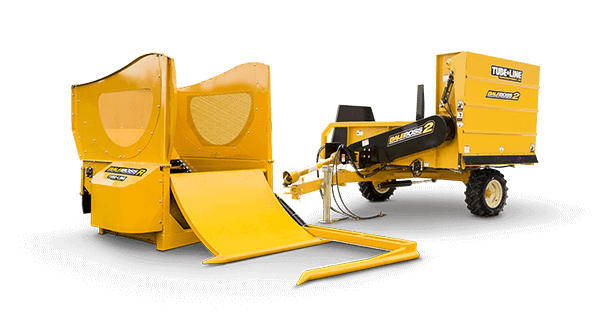 Nitro spreaders are not only overbuilt to handle real life farming, but built with top grade materials to ensure that our spreaders set the standard. 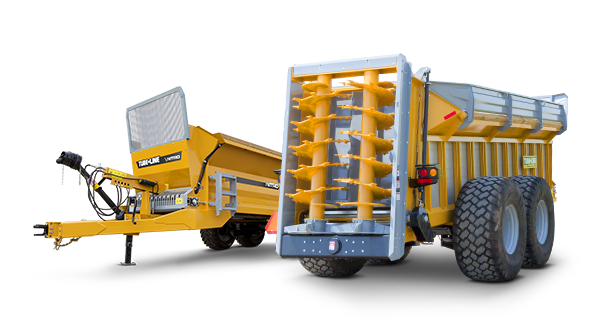 Equipped with robust apron chains that carry the load to hungry vertical beaters, Nitro spreaders offer a wide range of capacities, ensuring that you maximize each trip reducing your time in the field. © 2019 Tubeline Manufacturing Ltd.